MTI works with Maine-based entrepreneurs, innovators, established businesses and institutions, connecting them to funds and investments that help them commercialize their technologies and expand their economic impact. 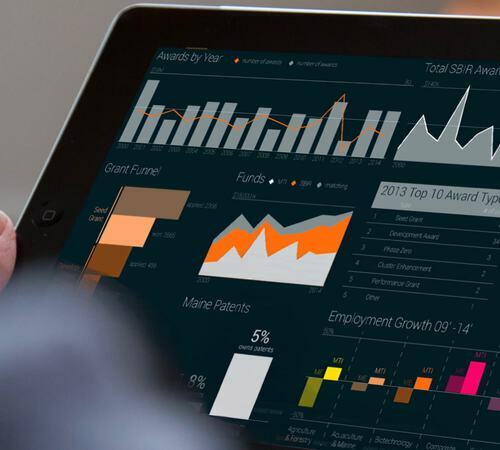 Freeport Metrics partnered with MTI to create a real-time view of their investment portfolio, integrating a multitude of complex data sets into a single dashboard that emphasized the impact being made statewide. This data visualization revealed a compelling story: employment growth, sustained grant allocation and successful patent applications, all emphasizing the success of MTI’s program to nourish innovation and entrepreneurship. 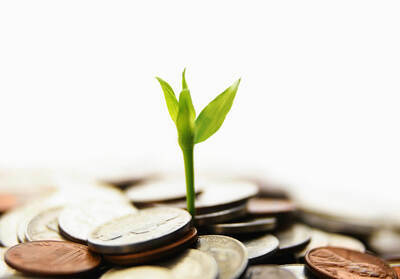 As a publicly funded, non profit organization it is critical for MTI to highlight their effectiveness in terms of economic growth and sustainability. This tool provided them with an ability to track and analyze data, offering breakdowns by industry sector, geography and other critical parameters. 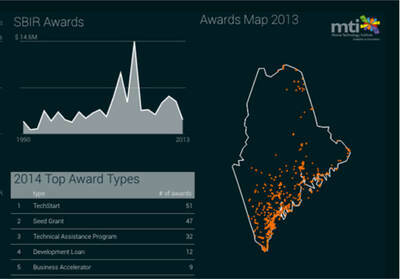 Unveiled at the 2015 MTI Techwalk, this dashboard emphasized the numerous ways in which MTI has stimulated the economy over the years and directly incentivised technology-centric businesses to establish themselves within the State of Maine. Many of our clients are start-ups, looking for a technology partner to help them realize their vision. Our in-depth knowledge extends beyond designing and building software solutions, to include assisting our clients in securing investment funds, from both public and private sources. A number of our current and past clients have successfully secured MTI grants, and are important contributors to the economic growth and innovation culture that is becoming firmly established in Maine. In addition, MTI have referred a number of their investment recipients directly to Freeport Metrics to provide the technical partnership they needed.